Add the the ginger, cinnamon and nutmeg, combining thoroughly. Mix in desired amount of sprinkles. Don’t stir too long or the color will bleed into the fudge mixture! Transfer to an 8×8 inch foil lined baking pan that has been sprayed with cooking spray. Place mixture into the refrigerator to firm. Once set, cut into cubes. Store leftovers in an airtight container in a cool, dry place, or in the refrigerator. Looks so yummy! I am assuming when you say Ginger you mean Ginger powder-I will definately try this. Yes, it's the powder. Sorry for not clarifying that in the recipe! I love you. I seriously love you. I want to run to the store to get the stuff to make this TONIGHT!!! 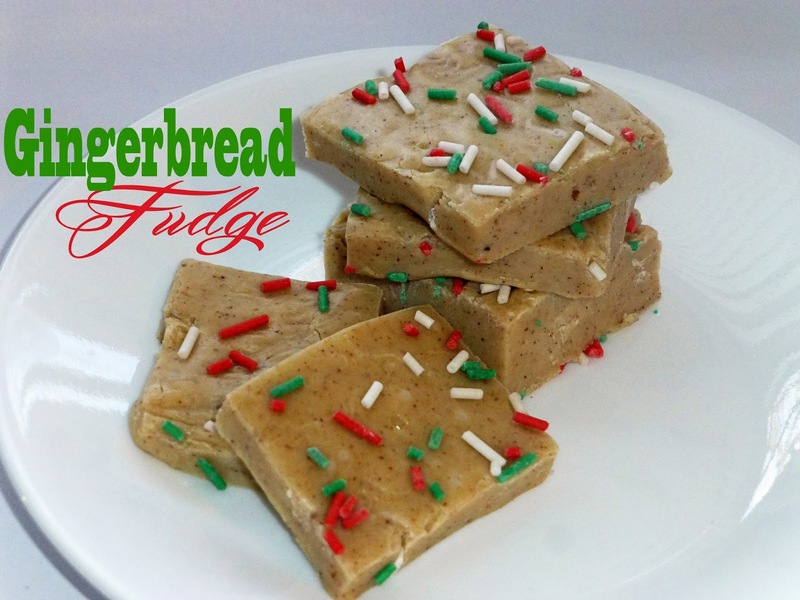 You have got the Ginger bread fudge is a perfect finish. Sounds yummy!! Being the biggest fudge lover that ever walked the earth, I have never tried this. I am pinning and as soon as I get some white chocolate chips, I am making this!! I will happily help you eat that. But I'm not terribly good at cooking them, unfortunately. Oh my gosh... gingerbread fudge. I was trying to figure out a way to make this so I can eat it. Don't think I can though. These do look good! I love the added sprinkles. I've never had any flavors of fudge except for chocolate flavored. I absolutely love anything and everything Gingerbread! This would make the perfect Christmas candy to package up and give to friends and family during the holidays! Thanks for sharing, I'm pinning it now! Thank you for sharing. This is one fudge recipe I have never tried or heard of. Already printed off a copy and plan to make it tonight. Also pinned it.